An outdoor tank. 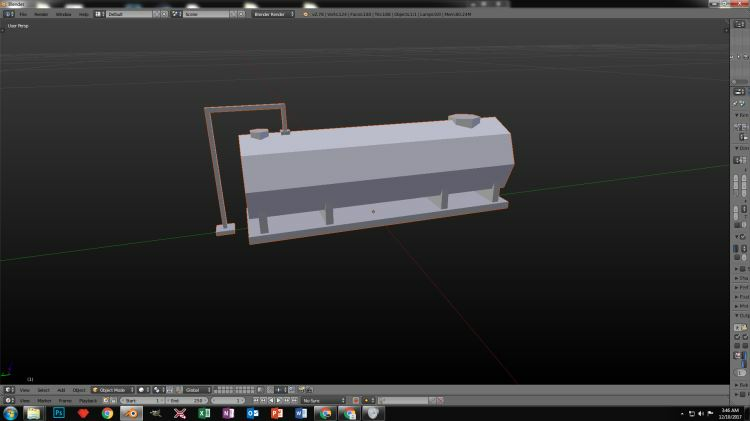 Could be used as oil or gas tank. Could be up to ten feet long four feet high?